Nakia Perkins has been a literacy educator and leader for over 30 years. She began her career in education as a paraprofessional, then worked as an early childhood teacher, as a kindergarten teacher, and as a first grade teacher. She also taught middle school for several years as an ELA teacher, and she was district-wide Adolescent Literacy Coach. In addition, she was an elementary level Reading Coach. Currently, Nakia is Principal at Audubon Elementary School in Baton Rouge, LA. Nakia earned her Bachelor of Arts degree in elementary education in 2003, her graduate degree in Educational Leadership (M.Ed.) in 2005 and completed requirements for a Certificate of Education Specialist (Ed.S.) in Curriculum & Instruction: Reading and Literacy Education in 2011. 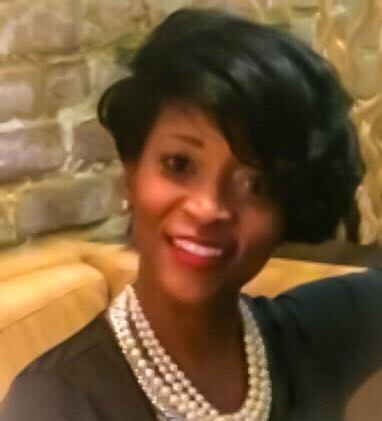 She is currently completing her doctorate in Curriculum and Instruction with an emphasis in literacy at Louisiana State University where she is also an adjunct instructor in literacy. Her journey as an educator has well-prepared her to lead the ILA Special Interest Group, District Literacy leadership as she has transitioned from teaching assistant to teacher, from teacher to coach, and eventually, from coach to principal. Nakia is a literacy leader! Ellen Daugherty has been and educator for over 30 years teaching in elementary classrooms, and as a Reading Recovery teacher, addressing all levels of literacy learning at the elementary level in an urban school district in Louisiana.During her years in the classroom, Ellen acquired her graduate degree in Educational Leadership (M.Ed.) and her reading specialist certification. Currently, Ellen serves as the Literacy Specialist at Louisiana State University's Laboratory School. Ellen is an astute, informed literacy leader. Jason Lau serves as Principal at Westwood Elementary in the School District of West DePere, WI. Jason earned a PhD in Educational Leadership and Policy Analysis from the University of Wisconsin-Madison in 2006 Over the past 7 years, he has focused his efforts on transforming literacy practices at Westwood Elementary to ensure students become engaged in the process of learning to read, while the teachers he supervises find joy and autonomy in implementing recommended practices as they relate to literacy instruction. Jason strives to be an impactful literacy leader.